J & F Advisors is a financial consulting firm, providing accounting and tax services to small businesses, non-profit organizations, and individuals. 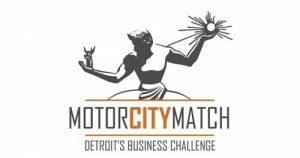 Operating primarily in the Detroit Metropolitan area, the company’s mission is to serve as a catalyst for financial literacy and economic stability amongst entrepreneurs. Taking a personal approach, relationships are developed with clients, so best practices can be used to identify goals and strategically satisfy objectives. We provide solutions which ultimately promote strong financial health and company growth. With accounting experience in various industries, we have an understanding of niche markets and the capability to help clients understand fundamental financial inner workings of their respective fields. J&F Advisors offer expertise and experience to businesses in a wide array of industries. I was extremely pleased with how thorough J & F Advisors was. Suisque metus erat, malesuada, Nibh nonces pulvinar leo. J&F Advisors mission is to serve as a catalyst for financial literacy and economic stability amongst entrepreneurs in Metropolitan Detroit.